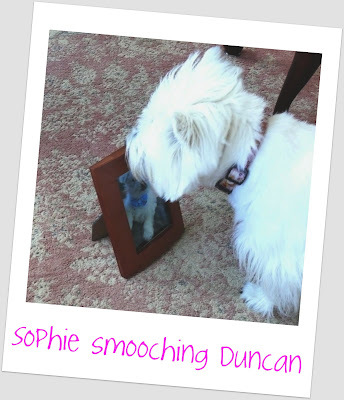 The White Dog Blog: Chicks dig me! Do you recognize that photo in the frame? It's the same one as my profile picture on the blog. It was taken the day I came home to my people family. Yes, folks, it started that very day. All the girls fancy me.